Now that I'm doing so much reading, I am going to start doing a review of the books I've read only once a month, rather than doing multiple posts for only one book each. Earlier this month I read the Elizabeth Smart book, but did a separate review here. To finish off the month, I read two more selections from my reading list. First up is Women Talking by Miriam Toews. One of my favourite books of all time is All My Puny Sorrows, by this author, so I was excited to see another novel that came out last year. I didn't know anything about the book, which is usually my preference. If someone I trust recommends the book, I take the recommendation at face value and don't do a lot of investigating before I pick up the book. I will lead this off by saying I was not a huge fan of this book, but it was fine. The story is about a Mennonite community in Bolivia (I had no idea there were Mennonites in Central America) where the women had been repeatedly drugged and raped during the night by other men in the community. The story takes place over a couple of days after the men have been arrested and are being held in the next town. The women are trying to decide if they should leave the community and strike out on their own or stay and face the men. I felt like this book was written to be studied in a university English class (which I am not opposed to, having an English degree myself) with lots of imagery, metaphors, literary devices, etc. The story takes place in between two very action filled and exciting plots - the multiple sexual assaults and then what happens when the men come back to the community. 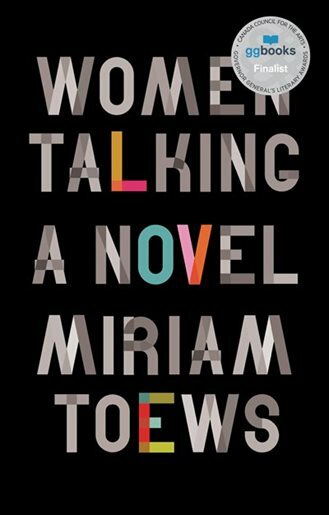 Both of those stories would be enough of a novel on their own, but instead the author focuses on the time when it is literally just "women talking" about what to do. As I was reading the book, I quickly figured out that the women's meeting was the plot and we weren't going to get much else, and I was a little disappointed but I kept reading. 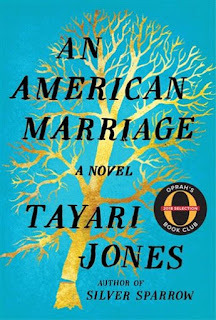 I won't say it was a bad book, since it is very well written, but I was expecting another All My Puny Sorrows and did not get it. The other book I read this month was very very good. I had this on my list but I could not figure out why I had included it, but then found out it was on Obama's reading list from last year. And I see from the cover below that Oprah liked it too. I was immediately drawn into this book by the style of writing - you could hear the people talking and get a sense of the relationship between the husband and wife. As with the book above, I did not know anything about what this was about, but judging from the title, I could guess it was about a married couple. I loved how the writing so eloquently described how they related to each other. Then the book took a turn, and I won't give anything more away, but it kept me turning those pages. I would be on the subway reading and suddenly realize I had no idea where I was, I never missed my stop, but time flew when I was reading this book. Something I love about reading is to get different perspectives and see into other peoples' lives that I could not possibly know about otherwise. The couple in this book are young black Americans living in Atlanta. The book says they are part of the "New South" which I can probably guess what that means. There are so many layers to their lives and their relationship, many of which I have no real concept of, but I appreciated reading about them. 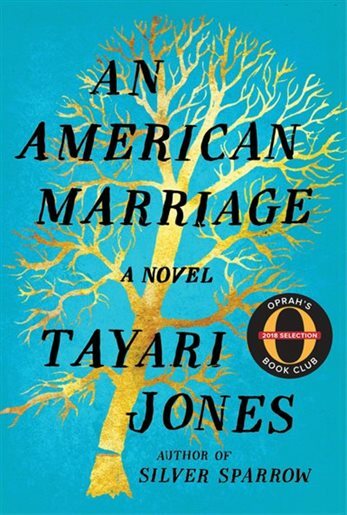 Without giving any clues about the plot, the fact that the husband is an educated, upstanding, black man is enough on its own for the wife's father to say he is a good match for her, setting aside whether they would actually be happy together. I have heard they are going to make this into a movie, and if I could suggest an actress to play the lead, I would say the actress who plays Zoe on This Is Us (Melanie Liburd), it is who I kept picturing when I was reading it. I don't know how the movie could ever be as good as the book (since they are never are) but I will be looking for it if they do make it.